Hexagon head, stainless steel coach screw with a wood screw thread for insertion into timber or for use with nylon plugs. Stainless steel grade A2 (304), DIN 571. 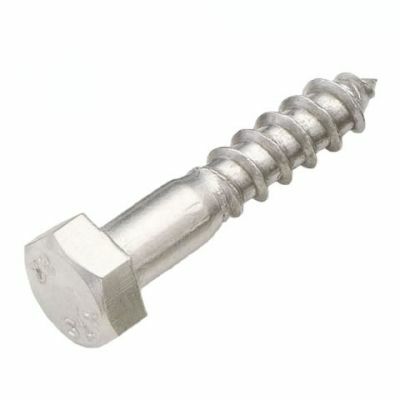 Metro Fixings also offer these coach screws in steel with a zinc plate finish.